I remembered the first time I encountered Anders Zorn’s works was more than 10 years ago. It was a series of etching he did and they were on the internet. I was captivated by his use of expressive light and shadow then and printed out all the images. Little did I know that he was also a great painter and often compared to John Singer Sargent, especially on their commissioned portraits of the high society in 1900s. 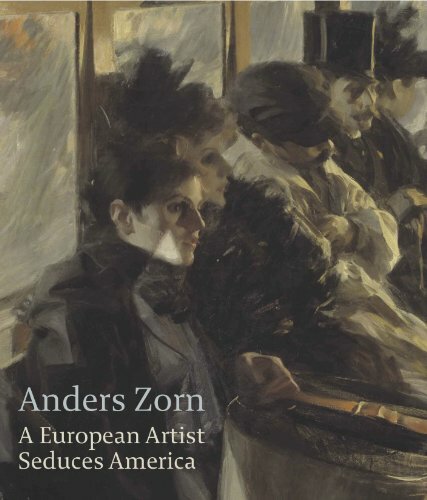 ANDERS ZORN: A European Artist Seduces America is the long awaited catalogue for this under-represented artist till now. It documents the artist’s fascinating works and biography. The catalogue showcases the Swedish artist’s artistic development and his rightful place in the art world of the 19th century. The book is 176 pages and divided into a few major sections. The first part is a series of articles on Anders Zorn and how he achieved his spectacular success and “becoming Zorn”. The articles are very well researched and written. There's a lot written on his style and working method, especially how he meticulously set up his painting from sketches and studies. The other sections are “Society Potraits” , “Modern Life” and “Rural Life” . In each of the sections, you will find artworks that are beautifully printed and accompanying articles. Looking through the artworks, you wonder how the artist manages to straddle between the world of high society and the rural life in his rural hometown of Sweden. This is the first time that Ander Zorn’s major artworks were brought together for the exhibition, and the catalogue displays the best of it. You can get a good sense of how versatile the artist was by his masterful paintings and etchings. I would highly recommend this book for readers to have an understanding of the artist’s oeuvre. You can check out some art books on John Singer Sargent and compare how these two major artists’ works are similar and different. If you buy from any links on the blog, I get a little commission that helps me get more art books to feature.